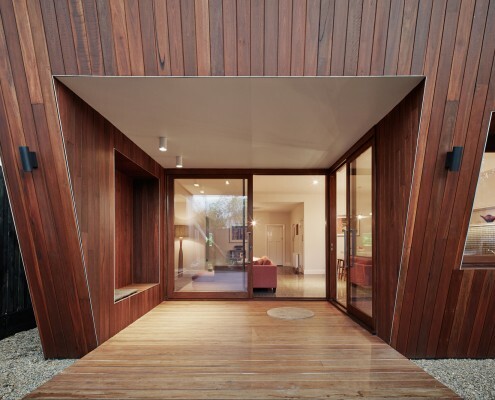 Thornbury House by Mesh Design Thornbury House: Don't Adjust Your Glasses, This House is Intentionally Crooked Thornbury House might appear haphazardly crooked, but the angled facade doubles as a sunshade. This solar passive home is functional and visually appealing. 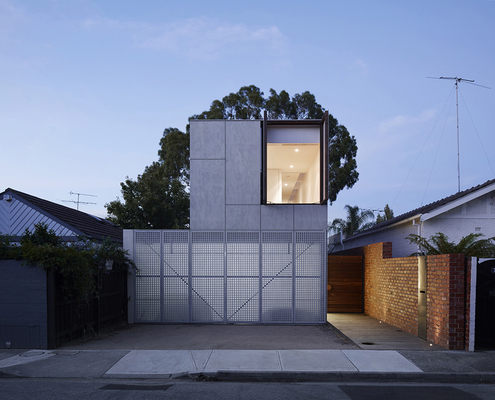 House 3 by Coy Yiontis Architects House 3 Finds Enough Space for a Large Extended Family in Melbourne At House 3 there's enough space for three generations of the one family to live comfortably together despite a tight site. 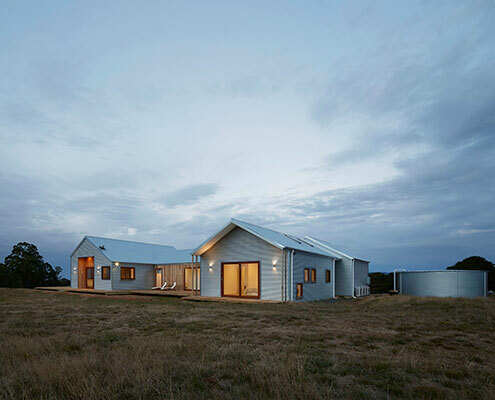 700 Haus by Glow Building Design Trentham Modern Farmhouse Uses Local Materials to Fit Into the Landscape Incorporating the qualities of a traditional farmhouse ensures this modern farmhouse will feel like a home from the get-go. May Grove House by Jackson Clements Burrows Architects Modern, Low Maintenance, Inner City Pad for a Professional Couple Home to a professional couple and Biggles the cat, this modern design aims to enhance the owners daily living experience. And succeeds. 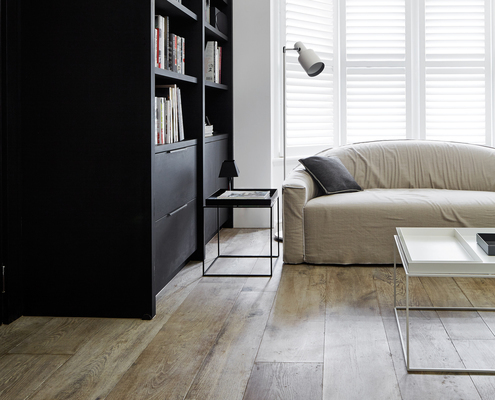 Park Street Residence by B.E Architecture New Life for a Victorian-Era House Fit for Multi-Generational Living Reimagining a heritage home to fulfil the modern needs of three generations of the one family, highlighting its layered history.